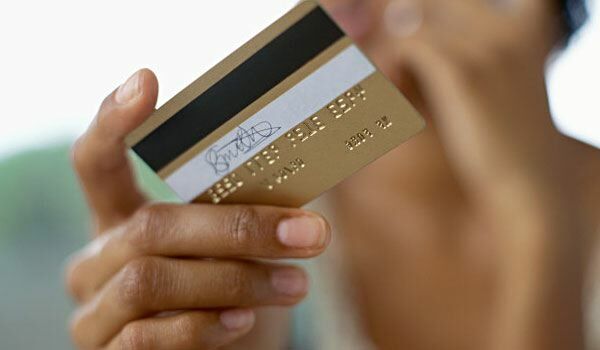 If you feel like your business expenses are becoming a financial burden, you might want to look into acquiring a business credit card. Business credit cards are great because they offer big rewards for business-related purchases, such as office supplies and internet service. By choosing low interest credit cards or high rewards cards for your business, you can offset some of your costs and save precious capital. Compare and contrast the offers below and pick one that will suit your needs as a business owner. Here are some of the best business credit card offers available. Chase’s Ink Cash card has some of the best cash-back reward rates. The card provides a generous 5% back on purchases of office supplies, cellphones and phone/internet services. They also provide 2% cash-back on gas and restaurant bills. This can be helpful if you travel a long distance to your business, or if you buy meals for your clients. If you decide to use this as a corporate card for your employees, you can set limits on their spending to monitor your employees performance. In addition, you can receive as many cards as you want at no extra charge. Chase Ink Cash comes with 12 months of 0% APR. This will give you ample time to pay off any business loan that you may have outstanding. Chase Ink’s high cash-back reward rates make it one of the best business credit card offers available. The American Express Business Platinum Card is great for business owners who travel frequently. It offers a massive 30% bonus for qualifying flights. It comes with a stream of premium benefits like access to airport lounges and Delta Skyclubs, as well. Cardholders receive up to $200 credit for accidents, such as baggage loss. You also get access to free wi-fi on participating flights. The Business Platinum Card is a typical charge card. However, as long as you pay your monthly balance in full, you will not have to worry about paying interest. It does come with a hefty annual fee of $450. However, If you can handle this fee, Amex’s Business Platinum Card is one of the best business credit cards for travel offers. The Starwood Preferred Guest Business Credit card, powered by American Express, is one of the best business credit cards for owners with a lot of travel expenses but little understanding of the vacation meaning. Each purchase on this card helps you earn Starwood Preferred Guest Starpoints, which you can use to book stays at any Starwood hotels. You can also transfer the points to over 33 different airline frequent flyer programs for free flights or low-cost airfare. The Starwood Business Credit Card from American Express also provides discounts at useful businesses like FedEx and Hertz. If you are a business owner who travels a lot, and you want a business credit card with travel perks to keep up, consider the Starwood Preferred Guest Business card. The Capital One Spark Cash card is for people who do not concentrate their spending into one area. You are probably familiar with Capital One free checking accounts, but may not have heard of their business offerings. The Spark card has a flat reward rate of 2% for all purchases. This may a bit underwhelming compared to the rewards offered by other cards. However, those cards usually have strict qualifications. The Spark Cash card has no requirements. Every purchase qualifies for 2% cash-back from the get-go. Another helpful feature is its lack of foreign transaction fees. This is great for businesses that employ manufacturers overseas. If this is important to you, and the fairly meager reward percentage rate does not deter you, Capital One Spark Cash For Business is one of the top business credit card offers. The CitiBusiness ThankYou card is unique in that it does not focus on cash rewards or miles. It instead has a system of “ThankYou” points that you can convert into anything. Depending on how you use your points, this could be some of the best thank you sayings in business. Some of the ways you can spend your points include gift certificates, travel certificates, hotel stays and merchandise. This is its main draw as a business credit card. Cardholders can use rewards to do whatever is necessary for their business. In addition, unlike most other business reward cards, Citibank Business ThankYou has no annual fees. This is one of the best business credit card offers for budget-conscious owners who want flexible rewards. Each of the cards in this post has features that can benefit your business in various ways. Chase’s Ink Cash card focuses on cash rewards and boasts one of the highest cash-back rates. Amex’s Business Platinum card benefits frequent flyers. It offers bonuses for flight ticket purchases and grants access to airport lounges. Read through the business credit card offers in this post carefully. Be sure to choose one that best fits your business needs.